Venture out of the city with trips to Murray Street Vineyards (in Greenock), Hahndorf (The Cedars & Beerenberg Farm) and McLaren Vale (Primo Estate & Dog Ridge Winery). Dedicate the 29th (Fri) to wine at some of the top wineries in the area. 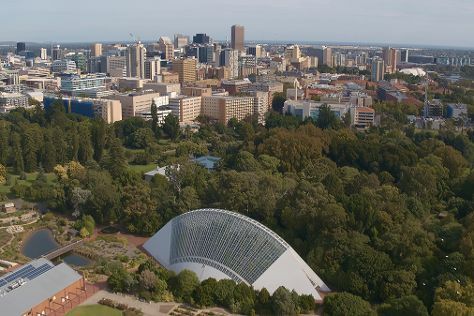 There's much more to do: take in nature's colorful creations at Adelaide Botanic Garden, get to know the resident critters at Adelaide Zoo, identify plant and animal life at Cleland Wildlife Park, and take an in-depth tour of Migration Museum. To see ratings, where to stay, other places to visit, and other tourist information, refer to the Adelaide online travel route planner . Chicago, USA to Adelaide is an approximately 27-hour flight. You can also do a combination of flight, taxi, ferry, and bus; or do a combination of flight and bus. You'll lose 15 hours traveling from Chicago to Adelaide due to the time zone difference. In March, Adelaide is much warmer than Chicago - with highs of 79°F and lows of 60°F. Wrap up your sightseeing on the 4th (Thu) to allow time to travel to Perth. Victor Harbor is a town in South Australia on the south coast of the Fleurieu Peninsula, about 80 km south of the centre of Adelaide. Kick off your visit on the 4th (Thu): head off the coast to Granite Island, then tour the pleasant surroundings at Aldinga Beach, and then do a tasting at Fox Creek Wines. On the next day, get to know the resident critters at Urimbirra Wildlife Park, then learn about winemaking at d'Arenberg, and then learn about winemaking at Wirra Wirra Vineyards. For ratings, more things to do, traveler tips, and tourist information, refer to the Victor Harbor online tour builder . You can drive from Adelaide to Victor Harbor in 1.5 hours. Alternatively, you can take a bus; or do a combination of train and bus. In April in Victor Harbor, expect temperatures between 72°F during the day and 53°F at night. Cap off your sightseeing on the 6th (Sat) early enough to travel to Kangaroo Island. Start off your visit on the 6th (Sat): stroll around Flinders Chase National Park. On the next day, learn about wildlife with up-close encounters at Kangaroo Island Wildlife Park, then identify plant and animal life at Raptor Domain, and then explore the striking landscape at Admirals Arch. 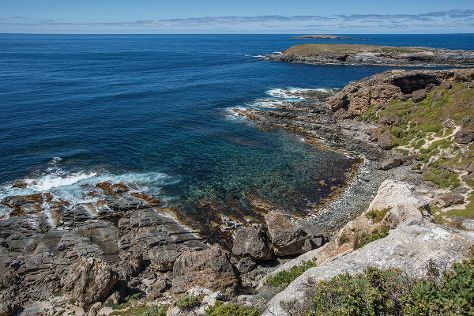 For traveler tips, other places to visit, and more tourist information, read our Kangaroo Island trip itinerary maker website . Traveling by combination of car and ferry from Victor Harbor to Kangaroo Island takes 2.5 hours. Alternatively, you can do a combination of bus and ferry. Wrap up your sightseeing on the 8th (Mon) early enough to travel to Perth. Get out of town with these interesting Perth side-trips: Caversham Wildlife Park (in Whiteman) and Fremantle Prison (in Fremantle). 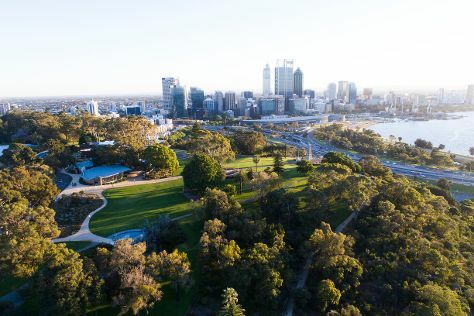 There's much more to do: admire the natural beauty at Kings Park & Botanic Garden, contemplate the long history of The Perth Mint, learn about wildlife with up-close encounters at Perth Zoo, and don't miss a visit to Monument Hill War Memorial. For where to stay, more things to do, traveler tips, and tourist information, you can read our Perth tour itinerary builder . Traveling by flight from Kangaroo Island to Perth takes 7.5 hours. Alternatively, you can do a combination of taxi, ferry, bus, and train. You'll gain 1 hour traveling from Kangaroo Island to Perth due to the time zone difference. In April, daily temperatures in Perth can reach 80°F, while at night they dip to 56°F. Finish your sightseeing early on the 11th (Thu) to allow enough time to travel back home.